Do we really need another album of Duke Ellington songs? So the question of whether we need another ducal homage is no idle query. 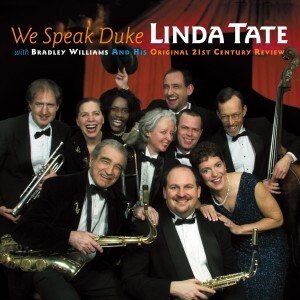 More than that, it goes to the heart of Linda Tate’s predicament on this, her third album (and clearly her best). On one hand, Tate’s decision makes her job easier: her choice of material does the heavy lifting, since the Ellington Songbook all but ensures that the songs themselves will shine. But on the other hand, Tate’s focus on Ellingtonia raises the bar for her own performance. By entering an arena populated by heavyweights and geniuses – all of whom have brought their own talents to bear on Ellington’s legacy – she invites comparison with the storied giants of jazz past.